I asked bestselling author Bob Mayer to give me a blog post about his decision to self-publish, and was pleased to get this response. I appreciate the opportunity to blog here today, as it’s a very special occasion, not only being the 150th Anniversary of the start of the Civil War, but the continuation of a new era for myself and other authors. In the military, it’s a maxim that every army is always prepared to fight the last war, not the next one. That gets a lot of people killed. In the Green Berets, we were always looking ahead, preparing for what would be, rather than what was. That was my Special Forces experience and I’m applying it to my writing career. Instead of looking at was, I’m looking forward at will be. That’s the reason I’ve made the switch from traditional publishing to self-publishing. 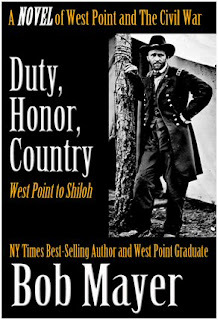 My next book, the epic Duty, Honor, Country, a Novel of West Point & the Civil War is live today on Amazon Kindle. I won’t go into the math as that’s been done many times, and you and Barry Eisler laid it all out clearly here. I’ve had the same publisher as the one who wanted to sign Barry, St. Martins, and my last three book deals with them totaled over a million dollars, so I’m walking away from something significant. I’ve also hit all the bestseller lists, NY Times, Wall Street Journal, Publishers Weekly, but that doesn’t equate directly to the bottom line. My first book came out in 1991 and it’s now over 45 titles later, over four million sold, and I’m more excited than I’ve ever been as a writer. As you know, a year ago I was questioning your numbers. I just couldn’t believe what you were selling. A month ago, I had to publicly admit I Was Wrong and You Were Right. Not only was I wrong, but here’s the thing authors need to understand: it isn’t as much about what’s happening NOW in publishing. It’s where things are going to be a year from now. I see the book deals every day in PW, and just shake my head at the pub dates: 2013, 2014. Another reason I made the decision to publish Duty, Honor, Country myself was timing. As noted, today is the 150th Anniversary of the start of the Civil War. There’s no way a traditional publisher could have gotten the book out by today. They’re still working on the same business model they had before computers became household items, where their production schedule is normally at least a year once they contract for a book. I’ve had it take as long as 8 months just to get the contract in hand. Often NY decides whether to publish based not on the book, but on what they perceive the market to be. It used to be a 50% sell through in paperback was the norm. Now they want 80%. How to solve that problem? Retailers are ordering less copies. Higher sell-through but lower volume. Good-bye midlist author. I used to say you needed to make at least six figures for a NY publisher to give you any push. Now it’s seven figures if you consider Eisler and myself walking away from mid-six-figures. I’m consolidating all my titles at Who Dares Wins Publishing and soon will have over 40 titles available. There’s a huge difference between an author promoting their book and a publisher tossing a book out there. I can give you the numbers. My Area 51 series sold over 1.4 million copies in print for Random House. I sell more e-copies of my Atlantis series per week than RH does of Area 51 in six months. Because I have an incentive to promote and also know how to promote, something NY is still behind the curve on. And I lead with the first book in the series at .99. All the rest of my fiction is at $2.99. I’m pricing Duty, Honor, Country at $4.99 because it’s epic, almost twice the length of my other books, at 175,000 words and took me two years to write and also includes 18,000 words from the opening of my next modern thriller, The Jefferson Allegiance. But follow-on books in the series will be priced lower, at $2.99, and come out faster, which is another key to success. I don’t think success is any easier in self-publishing than traditional publishing. Both are very difficult. The main difference is that I have more control self-publishing than I ever did in traditional publishing. I believe one key to success is niche. The Internet has made things more specialized rather than broader. I’ve written in many genres: thrillers, romance, science fiction, non-fiction, but, as I had to do making the decision to self-publish, I had to sit down and decide what I really wanted to write. 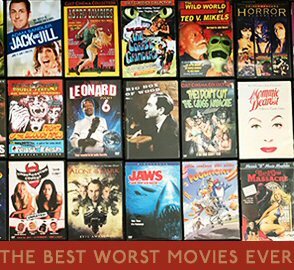 I based it on my platform: West Pointer, former Green Beret, lover of history. Duty, Honor, Country is the first in a series of books that will feature West Point graduates fighting through history. As a plebe at the Academy we had to memorize a lot of information. I found one piece particularly intriguing and it’s the foundation of the book: in 55 of the 60 major battles in the Civil War, West Pointers commanded on both sides. I always thought—that’s why the war was so bloody and lasted so long. The books focus on the sword’s edge of honor vs. loyalty and the tragedy of how classmates ended up on opposite sides of the battlefield. I’m posting a new blog every day about the book and interesting facts about the Civil War as part of the promotion for this. Two weeks ago at the Whidbey Island Writers Conference I suddenly realized something: as quickly as a writer can publish their book, is also as quickly as they can quit. It seems many think this is an easy path to great sales and wealth and fortune—a yellow brick road. But success will go to those who first and always, have a well-written book with a great story. Then there is the need for persistence and consistency. While the digital age has made all this possible, I think it has the potential to make quitting much easier since we live in a time of instant gratification. Writers are checking their Kindle numbers daily and bemoaning lack of sales within a week of upload. I think one trait those of us coming from traditional publishing have had is knowing it’s the long haul that counts. Also, in digital, it’s not the spike for the bestseller list, but the long tail of sales that is the key. General William Tecumseh Sherman stared warily at the glowing end of the cigar Sam Grant was puffing on. A flickering lantern highlighted the deep shadows on his old friend’s face. After consulting with the other division commanders and coming to a unanimous conclusion, Sherman was going to tell Grant it was best to immediately put the river between their army and the rebels, but something on Grant’s face stopped the words. Sherman stood still for a moment, rain dripping down on his hat. And that’s exactly how I feel about self-publishing. Joe sez: Last year I predicted that legacy publishing wouldn't be done in by technology, or by readers retreating from print and embracing digital. It would be authors who kill the Big 6 by deciding to self publish. Looking back at my old blog posts amuses me, because they're a combination of eerily predictive and massive underestimation (for example, a year ago at this time I believed I could earn $100,000 in seven months, and I've just done that in seven weeks.) But even though my thoughts about the future were conservative, the majority are coming true. Publishers still don't understand that they aren't going to have anything to publish if they don't immediately change their ways. 1. Give authors fair e-royalty rates. 50% should be the ground floor, and it should go up from there using various escalators. 2. Share the e-wealth with authors by offering them higher rates on contracts that are still active. Did you hear that, Hyperion and Grand Central? Pay me more money for my Jack Daniels books and for AFRAID. Let's redo the ebook clauses on my old deals so they're fair in this brave, new ebook world. Because if you don't, I'm going to exploit my interactive multimedia rights, release my backlist as enhanced ebooks, and UNDERCUT YOU ON THE PRICE. You think people will buy your bare-bones version of WHISKEY SOUR for $4.79 when they can get my enhanced version for $2.99? Would some iPad of Nook Color owner rather have a black and white text version of AFRAID for $6.99, or one with games, artwork, author audio commentary, and annotated clickable links for $2.99? That's right. They'll buy mine, not yours. Now IMAGINE THAT HAPPENING WITH EVERY SINGLE AUTHOR YOU HAVE UNDER CONTRACT. Yeah, I'm yelling. Because you need to wake up fast, or you're over. 3. Drop the prices of ebooks. If anyone in New York has been PAYING THE SLIGHTEST BIT OF ATTENTION TO ME FOR THE LAST TWO YEARS I've made it painfully clear how cheaper ebooks make more money than expensive ones, with reams of data and dozens of examples to support this. 4. If you are an agent, begin to morph your business into an estributor model, or you'll sink along with the Big 6. There. I've laid it all out for you. Now go have your meetings and act on it, or you're not going to survive the next two years.